Now more affordable! Often requested, the house shape is easy to sell to so many accounts. What about Realtors, Mortgage Companies, Financial Institutions, Builders and more? Solid maple or striped versions of maple and walnut are available. All individually gift boxed. Comparison shopping? 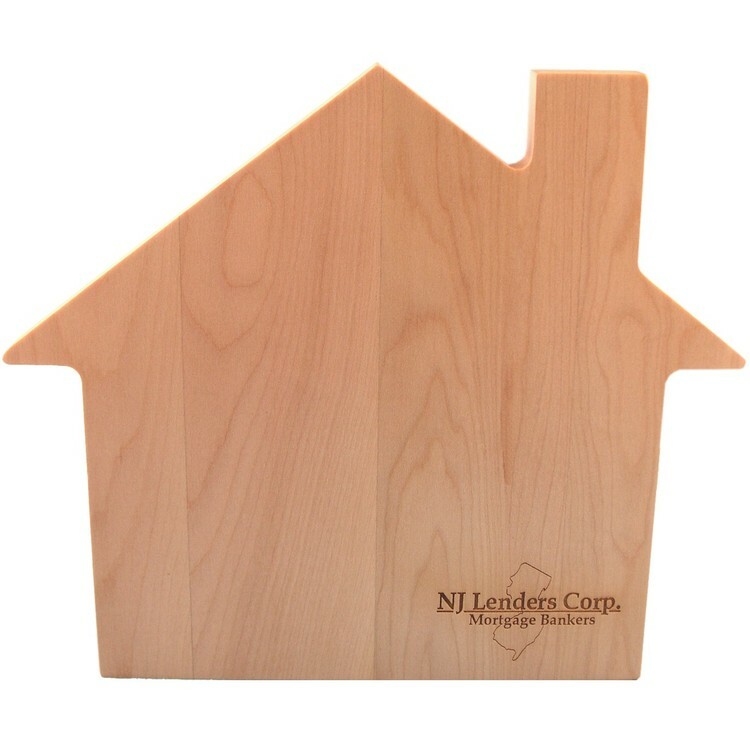 Our price includes a 3/4" thick maple board, laser engraving and a gift box. 11.5" x 10" x 3/4"
Price includes a one position laser engraving, application of FDA-approved food-safe oil, poly-bag, care instruction card and gift box.